A lot of eCommerce stores would be driving huge traffic during the holiday season with interesting offers and discount deals. Definitely, there will be a spike in sales and conversion rates during this time. However, it is important to note that a lot of these holiday customers may not return to your store for a future purchase. If you can retain these new customers to be loyal customers on your store, it would be a real boost to your marketing efforts. 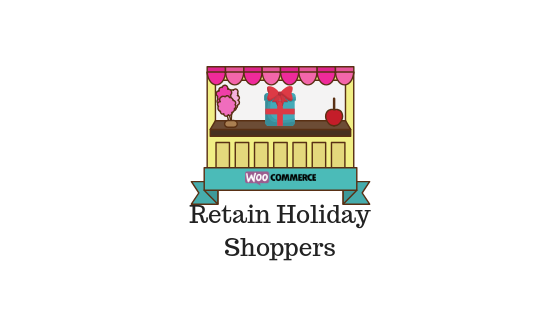 In this article, we will discuss some of the proven strategies to bring back holiday shoppers to be loyal customers on your WooCommerce store. Holiday shoppers often find themselves spoiled for choice. In the plethora of options, how can your site standout? One of the primary aspects to focus here is to make the shopping experience agreeable to all customers. A new customer would take notice if they find the shopping experience on your site extremely smooth and fast. A lot of factors are involved here including a smooth checkout flow, the right payment options, tax calculations, return policy, etc. Here is a list of WooCommerce tools that would be really helpful in improving the shopping experience on your store. One of the main reasons of cart abandonment is a long checkout process. If you are able to offer a faster checkout process, there will be a natural increase in the conversion rate on your WooCommerce store. This plugin is a popular choice of WooCommerce store owners who prefer to make their checkout extremely smooth. Basically, the plugin offers a one page layout that will help the customers to see the product selection as well as checkout fields together. This would mean customers are clear about the steps involved to complete the checkout process. The plugin provides a lot of flexibility to experiment with. You will be able to display a single product, or a group of related products on the checkout page. It will enable you to create custom landing pages as well. With the help of a shortcode, you can display the links for these customized landing pages on pages and posts. The plugin offers several built-in templates that you can try out to display product lists in a style of your choice. The single site subscription of this plugin would cost you $79. The 5-site subscription is $129 and the 25-site one is $179. Another plugin that would help in improving the shopping experience on your store would be the Checkout Field Editor. 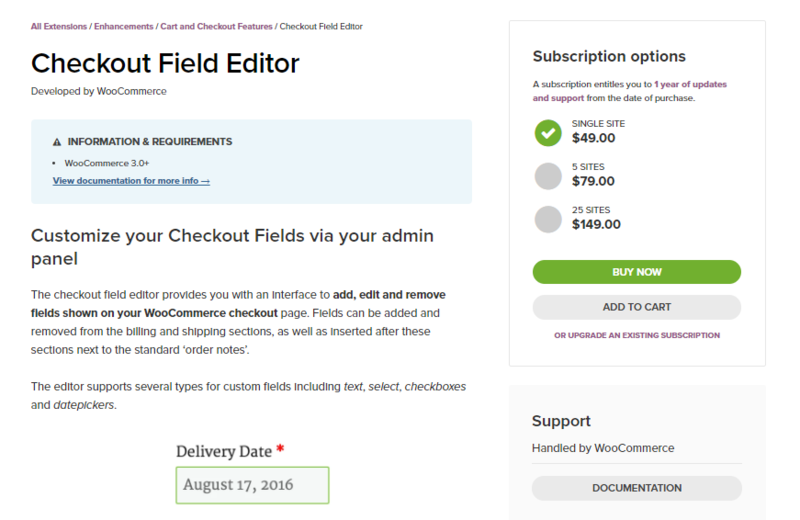 This plugin gives you the power to edit the default fields and add custom fields on your WooCommerce checkout page. It gives your the option to add several fields such as text, text area, checkboxes, select fields, passwords, date pickers, etc. You will be able to edit the billing and shipping areas on the checkout page. In addition, you can also edit the area after the billing and shipping sections on the page. 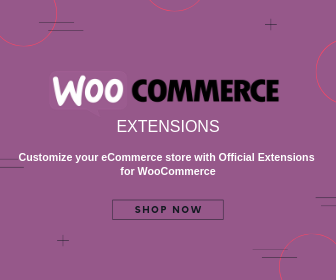 This WooCommerce extension offers great possibilities to edit your WooCommerce checkout fields. By installing this plugin, you would be able to collect additional inputs from customers as you require. Would be a great option for customers too, as they will be able to give suggestions or customizations while purchasing from you. The price is $49 for a single site subscription. You can also get a 5-site subscription for $79 and a 25-site subscription for $149. Collecting sales tax appropriately can be a big headache for eCommerce store owners. You need to collect the tax complying to the country’s rule as well as to the local governing body such as state or city. This extension will calculate the exact sales tax that needs to be collected for each order on your store. Please note the plugin supports tax collection for United States and Canada as well. You can use the service of TaxJar to automatically file tax returns as well. Sales Tax calculation will be no longer a worry when you have TaxJar integration on your WooCommerce store. Though the plugin is free, you will have to get an account on TaxJar, which has various pricing plans based on the number of API calls. There is also a free trial for 30 days. Your return policy is another thing that new customers would be keenly interested in. You have to make sure there is a hassle-free return policy on your store. Retrun Merchandise Authorization (RMA) can be a tedious task for many WooCommerce store owners. Thankfully, this plugin will help you with the whole process of RMA pretty efficiently. In addition, it will handle warranty requests, and let customers request for returns from their My Account page itself. You will be able to request for product images and track the return shipments as well. The plugin also enables automatic communication during different stages of the return process. A single site subscription would be $79, and the 5-site subscription would be $99. You will also find a 25-site subscription at $199. Getting new customers to signup for a loyalty program would be a great option for customer retention. The important aspect is to design a loyalty program that would not eat into your profits. 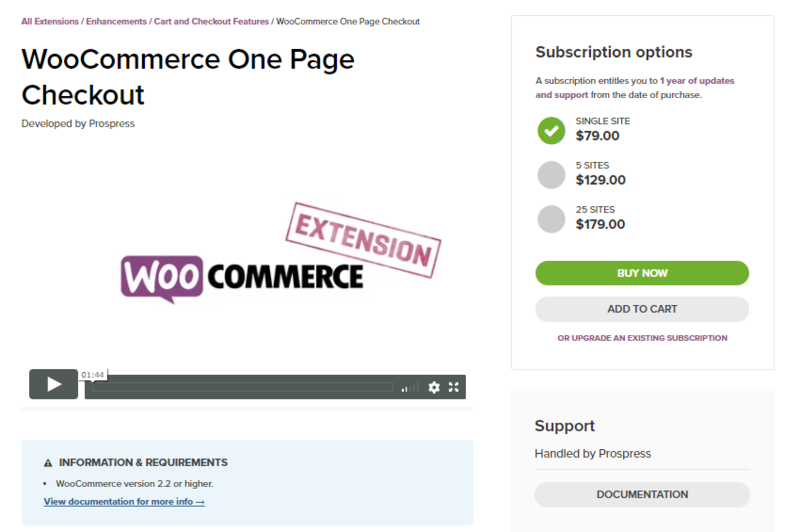 Thankfully, you will find a good solution in the WooCommerce extensions store for this. Let us look into this plugin in more detail. 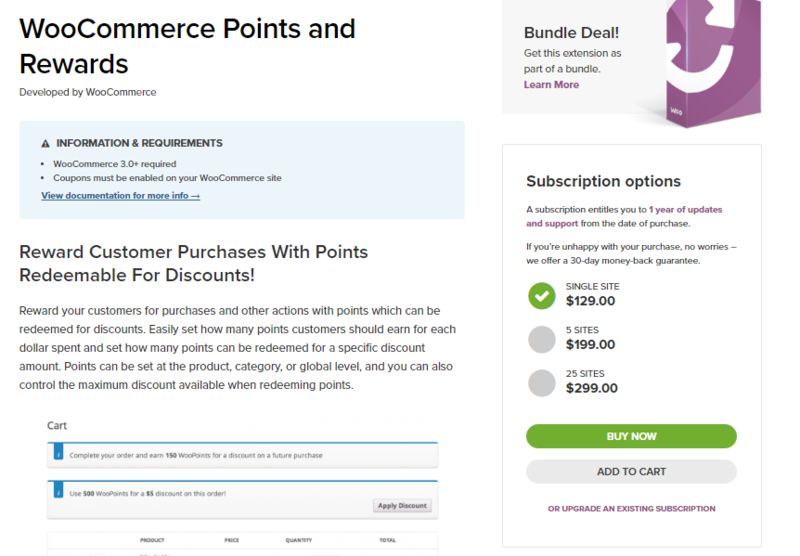 With the help of this plugin, you can reward your customers with points every time they make a purchase on your store. Points can be awarded for other actions on your store as well, such as leaving a product review. For future purchases, customers will be able to use their points to avail a discount. The store owner can decide the maximum discount amount redeemable through coupons. The plugin also offers automatic management of the points system on the account pages of customers based on their purchase patterns. The single site license of this plugin would cost you $129. There is a 5-site license for $199, and a 25-site license for $299. Offering credit coupons to customers might be another good option to get customers returning to your store. Your customers will be able to redeem store credits fully or partally, while making a purchase from your store. This WooCommerce extension allows your customers to make multiple purchases with store credit until they exhaust the amount. The plugin makes it extremely easy to generate a coupon, which you can email from the store admin itself. The pricing plan starts at $29 for a single site subscription. A distinguishing factor of any online store would be the way they handle customer support. An accessible and dependable customer support would make customers want to engage with you more. Offering customer support through multiple channels has become an essential aspect of a lot of customers. Because the current generation can be online through different channels, and they would appreciate a brand’s presence in the mediums they prefer. 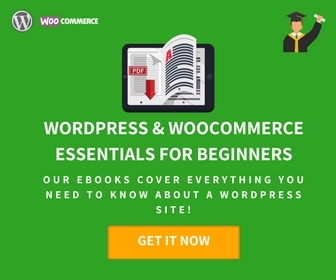 Let us look at some of the best WordPress tools to offer seamless customer service on your WooCommerce store. 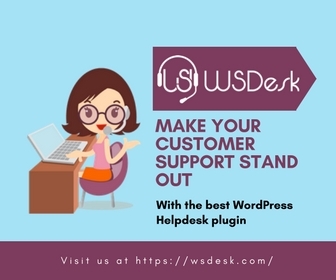 WSDesk is a great option to set up a WordPress helpdesk system on your store. Users will be able to contact you and raise product specific tickets through the contact form displayed on your website. Moreover, this plugin automatically converts emails sent to your support email ID into tickets. This would help you to organize your queries and support tickets better. There are no restrictions in the number of tickets or agent profiles that can be created using this plugin. WSDesk offers quite a lot of functionalities that will help to automate the support process on your store. You can use triggers and conditions to automatically assign tickets to a specific agent. The Ajax-based interface is quite fast and simple to use. Features like canned responses and custom ticket views would help a lot in reducing the workload of customers. Overall, the plugin helps to make your customer support faster and more accurate. Prices start at $89 for a single site subscription. Though a ticket-based support system would be a necessity to resolve complicated customer issues, you can please customers with quick resolutions over live chat. LiveChat is a really useful tool for WooCommerce store owners, as it can do more than customer support. It functions as a lead generation tool as well, with options to pro actively contact customers. This is one of the most popular solutions available for WordPress sites. You can create a professional live chat experience for your customers using this one. LiveChat offers several tools including customization options for the live chat window. The reporting tools are top notch too, with daily summary and detailed ticket and chat reports. More importantly, it offers tools to target visitors from different campaigns that you run, particularly during the holiday season. You can try out the tool for 30 days free, and after that opt for a pricing plan that starts from $16 monthly per agent. Hidden charges while checking out can be a big turn off for shoppers on any online store. Often tax and shipping charges appear only when the customer is about to purchase, and in many cases, this can lead to cart abandonment. The TaxJar extension that we discussed above will largely get you out of the problem of calculating taxes correctly. So it is just a matter of showing tax inclusive rates on the product page when there is a reliable mechanism to calculate taxes. Similarly, shipping rates too can be shown in the Cart page itself with the help of WooCommerce shipping extensions. Several of these plugins would help you automate the complete shipping process as well by providing options to print shipping labels and offer tracking information. Let’s look at a useful shipping plugin that will help you display live shipping rates of popular carriers on your WooCommerce store. You will be able to integrate the services of FedEx, UPS and USPS with the help of this plugin. The plugin offers a range of services from all three carriers, which you can selectively display on your cart and checkout pages. It also allows you to add price adjustments to each specific service according to your requirement. The plugin assists in box packing, and generates shipping labels. You will also be able to send tracking information to customers along with the order completion email. A single site subscription of this plugin would cost you $69. Follow up strategies are another essential aspect to focus on when you are trying to get new customers return to your store. Following up with customers at the right time in the right manner would bring you good returns. 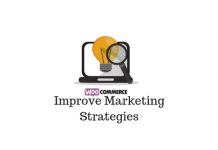 Here is a popular WooCommerce tool that you may find useful. This plugin helps to make your customers engage more with your store. You will be able to create effective email marketing campaigns based on the order history of customers as well as their interests. 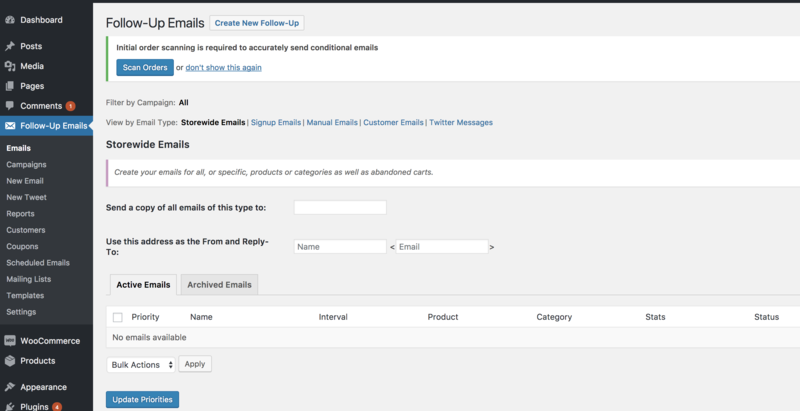 In addition, the plugin integrates Twitter follow ups to your email campaigns. The plugin creates reminders to ensure that you are not missing any important communication. Also, you will find options to measure the effectiveness of your campaigns. It also offers an elaborate set up to customize your campaigns and each email. The single site subscription of the plugin is priced at $99. There is a 5-site subscription for $149, and a 25-site subscription for $199. The ability to retain customers on your store is never about individual aspects of your store. There are several variables that play a role in the perception of customers. The important thing is to maintain quality from the very first interaction with your customers. This would start with your site’s user experience and how easy it is to place an order on your store. After all, customers would want to come back to your store if the product quality is good and if they felt good shopping there. You can try some of the above-mentioned strategies while maintaining a solid grip on shopping fundamentals like the checkout flow. Leave a comment if you wish to share a tip or eCommerce experience.